And just like that, soup season is here, hurray! 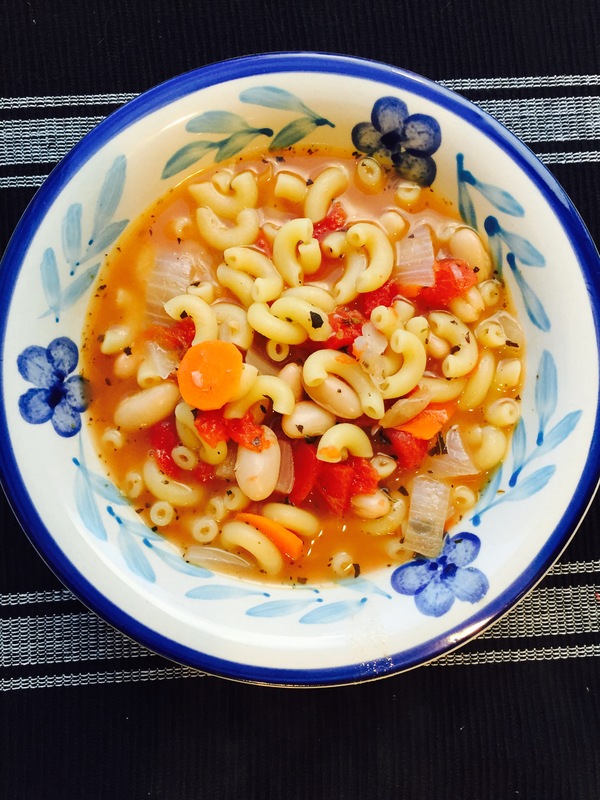 I’ve been wanting to make some soup and this one was so quick and easy as I threw it together for dinner last night, not to mention yummy! The recipe comes from “The Cook’s Pyjamas”. 1 Heat olive oil in large pot then add onion and saute until onion starts to soften. Add garlic, carrots and celery and continue to saute until all veggies start to soften. 2 Add chicken stock and bay leaf and bring to a boil then reduce to simmer. 3 Add remaining ingredients and simmer until pasta is cooked through. « Eating our way through Disneyland! Sounds delish…..and very simple! Thanks, my friend. It was delish and oh so easy and gone pretty fast too! I like this one! Looks so delicious. Thanks, it was delicious and easy too! I’m so glad you enjoyed the recipe. Thanks for sharing it.